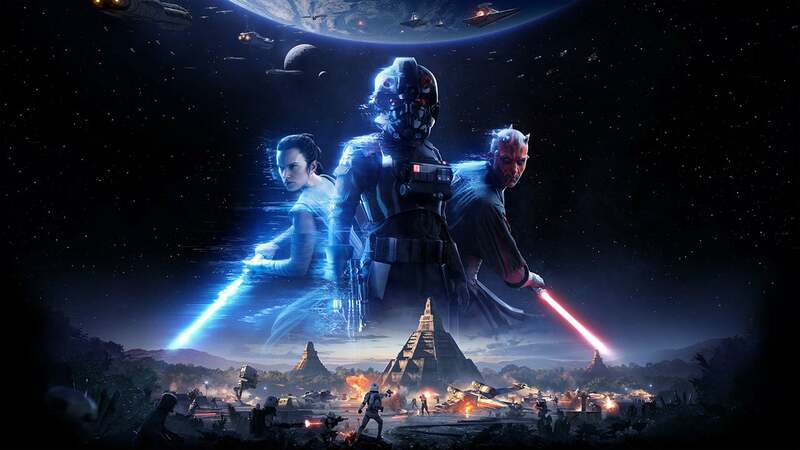 It was recently confirmed that Star Wars Jedi: Fallen Order, the upcoming single-player game from Respawn Entertainment, would finally be revealed during the Star Wars Celebration this weekend. The game has remained shrouded in a thick layer of smoky mystery since being announced at E3 2018, but a reveal panel scheduled for April 13 at 7:30pm (UK time) will finally shed some light on the game (and hopefully confirm a release date). Ahead of this grand reveal, the official Star Wars and EA Star Wars Twitter accounts decided to build some early hype by sharing a stylish, moody teaser for Star Wars Jedi: Fallen Order. Take a look below. To my mind (and many others on Twitter) this tagline implies that the game will feature some kind of stealth-based gameplay. This fits with what little we know of the game’s story, which sees one of the last remaining Jedi attempting to seek vengeance after the events of Revenge of the Sith wiped the majority of them out. Obviously, being a Jedi in a world where the Empire wants to kill you dead on sight would require a little sneakiness. I mean, Obi Wan went and hid in the desert for years, which would have been super low key if he wasn’t hiding out on the planet Darth Vader grew up on. Beyond the tagline, we see a damaged lightsaber placed on top of what the official Star Wars site confirms to be “ancient symbols from a bygone age.” So what can we take away from this? 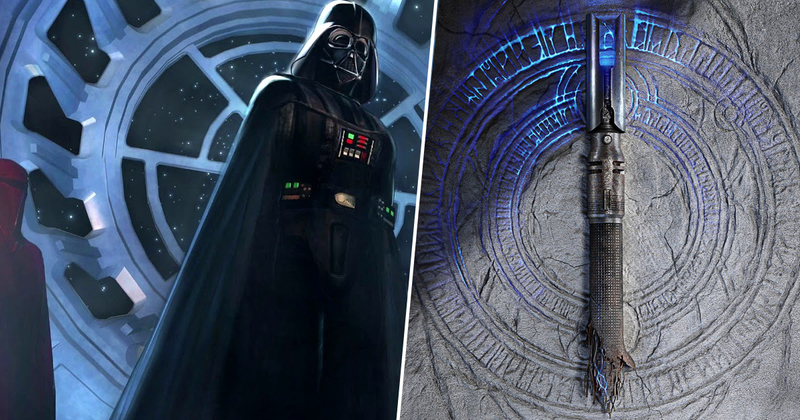 The runes around the saber seem to come from old Yavin temple concept art from Ralph McQuarrie, which teases some kind of ancient Sith connection. Perhaps the story will see our hero struggle with light and dark side of the Force? As for the weapon – as others have pointed out, this damaged lightsaber is likely to be our starting weapon. It makes sense that the start of the game would see our inexperienced hero, desperately fleeing and, just maybe, coming across an ancient broken lightsaber. Maybe from some kind of… Fallen Order? If you’ll allow me to get my Star Wars head on for a moment, all of the Padawan training at the Jedi Temple on Coruscant were cut down by Anakin in Revenge of the Sith. Given that Coruscant served as a capital of the galaxy since the days of the Old Republic, it follows that there’s be all kinds of ancient weaponry and hidden chambers there. I can see a scared young Jedi-in-training running away from certain death and taking refuge in a hidden chamber. It also seems likely that we’ll be able to upgrade and customise this broken blade as we go, presumably via some kind of skill tree. This is still a AAA game, after all. There’s a good chance I’m way off base with all of this of course, but I do believe the tease tells us a lot more about Star Wars Jedi: Fallen Order than is immediately apparent. We’ll find out for sure this weekend.